Conformity with Standards: NF P 94-160-1, ASTM D6760 and others. 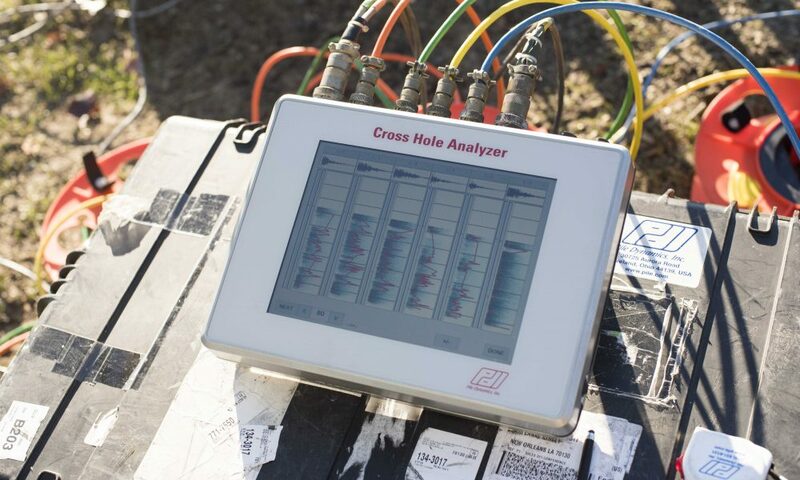 The Cross-Hole Analyzer determines the quality and consistency of the concrete of drilled shafts, slurry walls, bored piles, cast-in-situ piles and other types of concrete foundations. 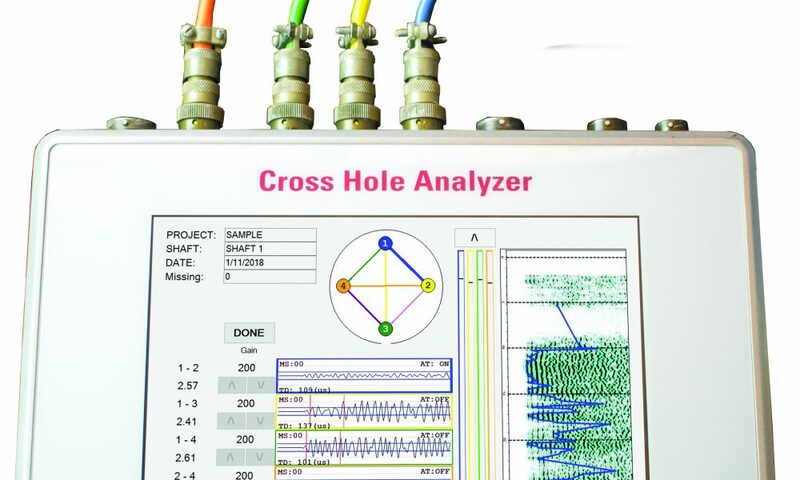 It is ideal for testing four probes in one go, thus, saving time and money. 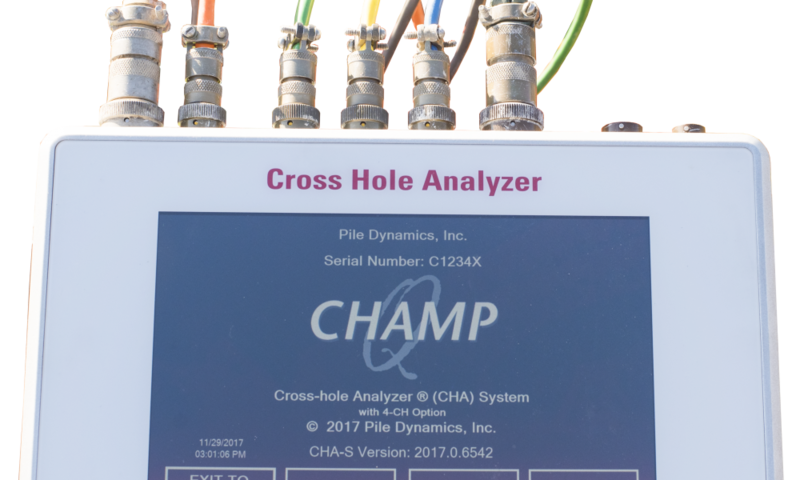 CHAMP-Q has colour coded wires for easy identification of probe receiving/transmitting. Once a shaft is prepared during construction, transceivers are lowered into the access tubes and transmit a high frequency signal detected by the receivers. As these sensors are raised and/or lowered along the length of the foundation, the CHAMP-Q records the strength of received signal and the time from signal emission to signal arrival as a function of depth. Scanning various tube combinations allows evaluation of concrete quality and defect location along the length and by quadrant. The CHAMP-Q Tablet is portable, light and rugged providing fast and accurate measurement.